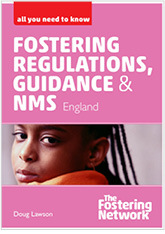 This detailed handbook explains in clear, easy-to read terms the complex legal requirements which govern fostering services and offers practical advice about how to meet these. 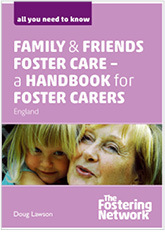 It is an invaluable source of information not just for supervising social workers but for everyone who plays a part in delivering foster care services. Really interesting reading – love the ‘things to think about’ section at the end of each topic. Lots of what we should be doing just not confident it’s happening to the extent it should. The first book I’m aware of that puts all this together in one place. - Julia Wilson, professional advisor, adoption and fostering panels, Solihull MBC. 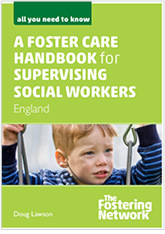 A well written and very useful tool for supervising social workers, who are often unclear where their role begins and ends.’ - Susanna Daus, operations manager, children’s placements, LB of Islington¹s children looked after service.